Have you ever done a clean up of your closet and found stuff in there that you totally forgot you had? What about buying a lipstick, only to come home and realise you already had one exactly the same? And lets say you’re going out somewhere and you just can’t seem to figure out what to wear cos you can’t even remember what’s in your drawers? If you answered yes to any of the above, I’ve got an app for you that’s about to make your life a whole lot easier! 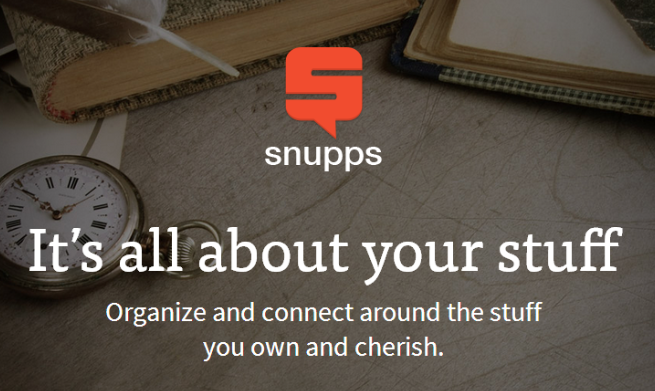 It’s called Snupps. It’s basically a digital version of your belongings right there in the palm of your hand to organise, scroll through and even share with your friends/followers if you wish. It’s truly genius and loaded with helpful features, you’re gonna wonder how you ever managed without it! 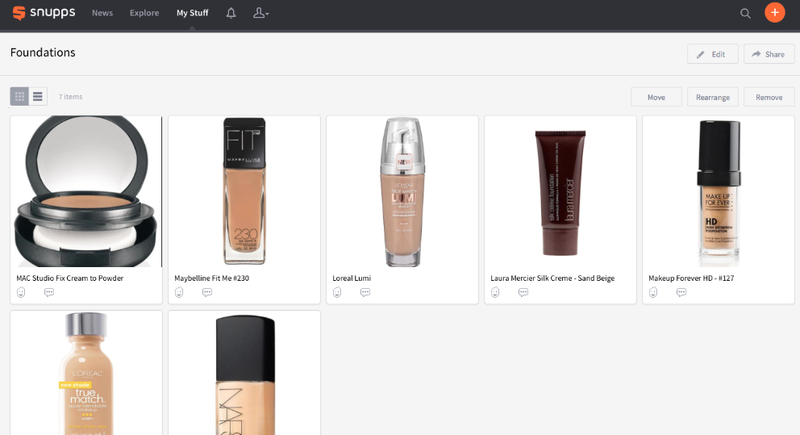 I’ve been looking for such an app for a while, mainly for my makeup products. Between my personal stash, my pro kit and all the products I review for the blog, it can get quite overwhelming to even remember what I have. This app is exactly what I needed! 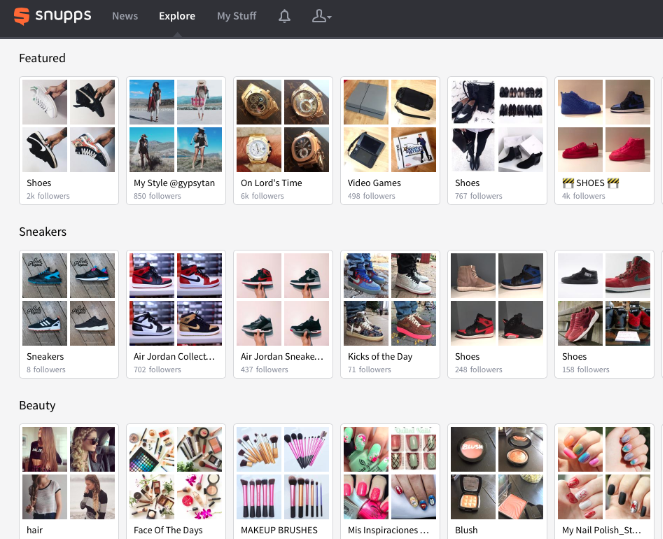 Snupps allows its users to create “shelves” where you can categorise your belongings from clothes, shoes, makeup, Christmas decorations to craft goods, wine collection and whatever else you can imagine. You can keep your profile private or make it public and follow people (and allow them to follow you) to share pictures, like and comment; just like other social media. There’s also an Explore option where you can check out public profiles of what others have created or search particular items. When you create a shelf, it allows you to add as many pictures as you like related to that shelf. You can either source the picture from the internet or take your own photos. As an example, I have a shelf for Foundations (which I’m in the process of adding pictures of all the foundations I have). I just used internet sourced pictures of the bottles but you can take your own photos and even include swatches if you like. When you add a picture, there are info boxes you can fill out such as the name of the product, how much it cost, warranty details depending on the item you’re saving and you can add your own notes about it. 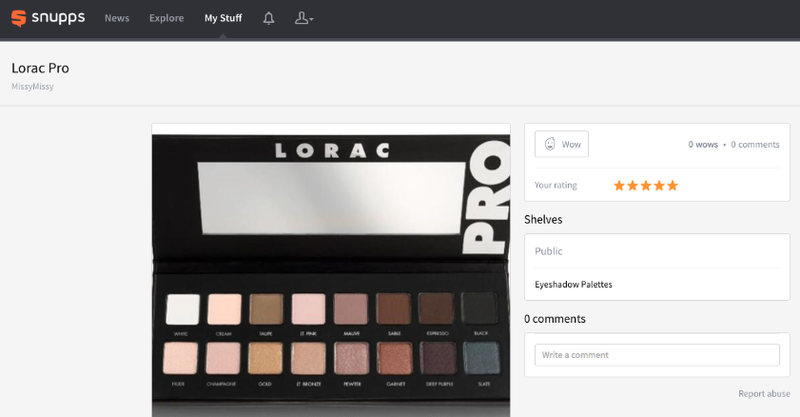 It even goes a step further and lets you rate the item so in case of makeup products like this, you can check the rating you’ve given it and even refer to your notes so you can remember what you liked or disliked about it. I only just began to fill out my shelves and considering the amount of makeup I have, it’s gonna take me a while before I can move onto my clothes, shoes, accessories and the likes. I’m looking forward to that too though cos imagine going shopping and finding an item you love and wondering if it would go with what you have in your closet. With this app, your closet is basically in the palm of your hand so you can scroll through and make calculated decisions about your purchases. I think once you store all your existing items, it’ll become much easier to maintain the shelves as you can just snap a photo of your newly bought item and add them to your “digital closet”. I’m really enjoying this app and love that I can scroll through my categories and see all my items right in front of me.